Bitter Melon (Momordica charantia) is a fruit usually found in tropical climates. It is among the most bitter of all vegetables and contains a substance called charantin - an insulin-type peptide which has been proven to lower blood sugar. 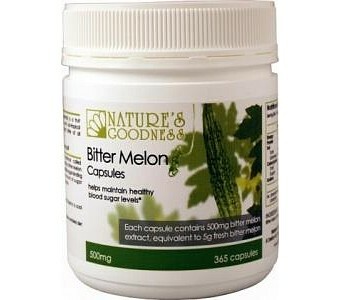 Each Nature's Goodness Bitter Melon Capsule contains a powerful blend of herbal extracts and fibre that increases the uptake of glucose from the blood, to help maintain healthy blood sugar levels. 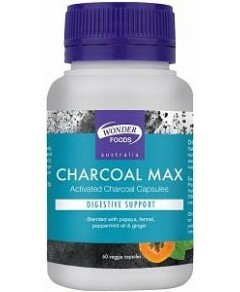 Directions: Take 2 capsules with each meal. Store in a cool dry place. Ingredients: Bitter Melon (Momordica charantia) extract, gelatin.